As a follow-up to Hudson Yards’ Vessel and the back-on-the-table Pier 55 project, Thomas Heatherwick is to bring another architectural oddity to Manhattan’s west side. 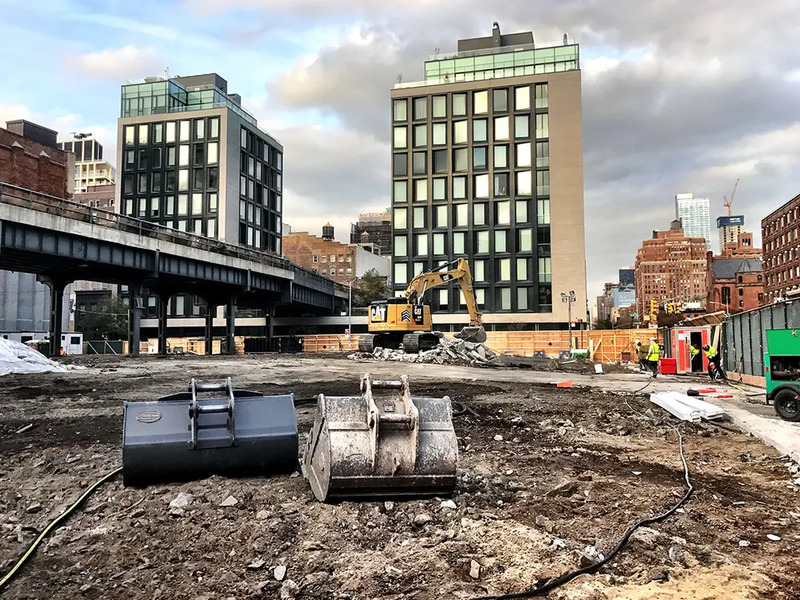 Last year, at the groundbreaking ceremony of Vessel, Related Companies’ chairman Stephen Ross hinted that the acclaimed British designer is involved in another of their numerous west side developments. Lo and behold, via an EB5 filings website, the property to be is 515 West 18th Street, a dozen blocks south of their Hudson Yards mega-project. As typical with Related, the handful of renderings show the project will walk the fine line between architectural invention and real estate pragmaticism. As we previously reported, the property anchors the entire western blockfront of Tenth Avenue between West 18th and 20th Street. It is bisected by the High Line and is an earshot from the Hudson River waterfront. 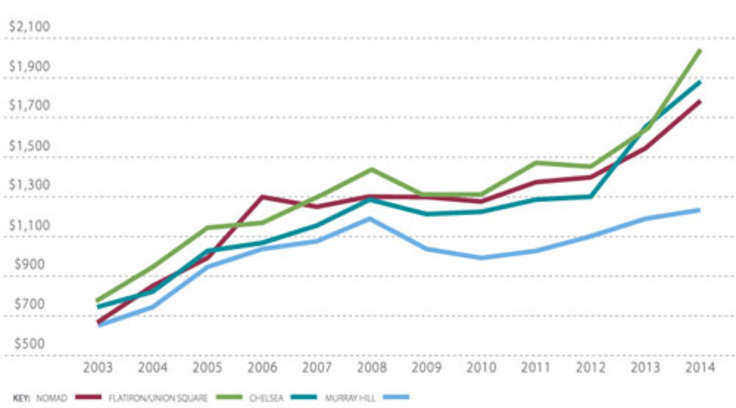 Related picked up the site in 2014, for a then-neighborhood record sum of $205 million. Now-approved Construction permits were filed in late 2016 by the project’s executive architects SLCE, and demolition of a 2-floor warehouse has since then finished. Now, earthmovers and diggers are preparing the foundation and completion is scheduled for mid-2020. 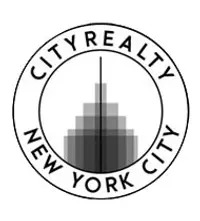 Tentatively named the Hudson Residences, in conjunction with another high-rise condo they have planned on West 23rd Street, the straddling pair will have 181 condos split between a 10-floor east tower and a 22-floor west tower. The 425,000 GSF undertaking will also have 17,000-square-feet of retail and gallery space, and 175 parking spots. Amenities are to include a spa, fitness center and entertainment and social lounges. Related is looking to finance 10.5% of the project (along with the 23rd Street building) through EB-5 subscribers. Last year, Related finished work on their swooping condo at 520 West 28th Street designed by the late Zaha Hadid. 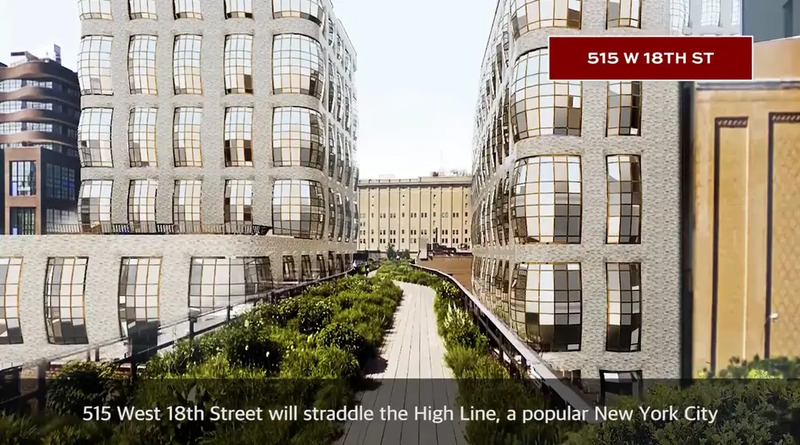 This site is similarly restrained by a tight zoning envelope whose maximum height and setback requirements are meant to mitigate effects on the High Line. As per the norm, Related will build to the maximum allowable floor area, and judging from the renderings, will nearly burst out of it. Embedded within a rigorous grid that harkens to nearby warehouses, are bulging orb-like windows (that can be likened to bubble wrap) appear to take the bay windows to a new dimension, lending residents fuller panoramas of the High Line and waterfront. Since the opening of Norman Foster’s Hearst Magazine Building in 2006, we can again sound the alarm that the British are coming, this time bringing their unique takes on Manhattan living. There are now more than a dozen structures finished or in the works by British designers such as Thomas Heatherwick, Richard Rogers, Nicholas Grimshaw, Norman Foster, David Chipperfield and Zaha Hadid. Besides Heatherwick and Zaha, Related also tapped Norman Foster to design a monstrous new building at 50 Hudson Yards. The property is one of the last undeveloped lots buffering the initial leg of the High Line which opened in 2009. Rising directly to the south is The Eleventh, HFZ Capital’s torquing pair of mixed-use towers designed by the Bjarke Ingels Group; and to the north is 505 West 19th Street, a 2016 condo designed by Thomas Juul-Hansen for Sherwood Equities. Related was one of the first developers to jump on the High Line development bandwagon with their condo-rental hybrid named The Caledonia. There, per recorded 2017 closings, apartments sell on an average of $2,334 a foot —well above the $1,907 a foot average for its surrounding neighborhood. 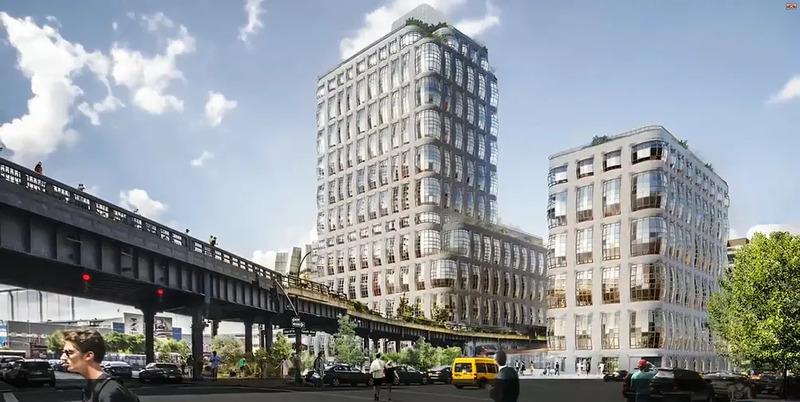 From The New Skyline Could This Farm-Condo-Gallery Hybrid Be Coming to Rem Koolhaas' High Line Parcel?